One of the very famous Chinese smartphone company, XIAOMI has launched an Android smartphone named “Hongmi” which comes in appealing bubble-gum like colors. Today when companies like GIONEE are gaining popularity every day, XIAOMI is all set to spread its wings as well with this smartphone. Considering the pricing of this smartphone, it has excellent features. So, let’s take a look at the specs and features of this device. 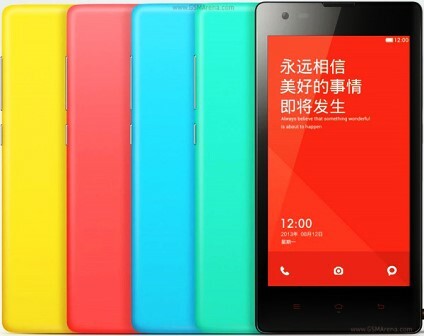 XIAOMI’s smartphone Hongmi has 4.7” screen which supports 1280x720p resolution and has 312 pixels per inch (ppi). The device features 1GB of RAM, MTK 6589T Quad-Core processor clocked at 1.5GHz and 4GB of internal memory expandable up to 32GB via SD card. Priced at 130USD, XIAOMI Hongmi is launched only in China as of now. There is no information yet about the release of the smartphone in other parts of the world.